Our mind needs rest and it gets that rest when we sleep. It seems that part of the high-school experience, in addition to Prom and the college process, is testing your body to see how late you can stay up. Now, this is not done because you need to get in one more episode of The Office before you go to bed; it is simply the reality that comes along with having a seemingly eternal list of homework to be done and tests to be studied for. Teachers, parents, and even doctors will tell students over and over again that it is critical they get eight or more hours of sleep each night because our adolescent bodies need to recover and grow. However, with the incredible workload that students are juggling, it is nearly impossible for them to sleep 8 hours a night. 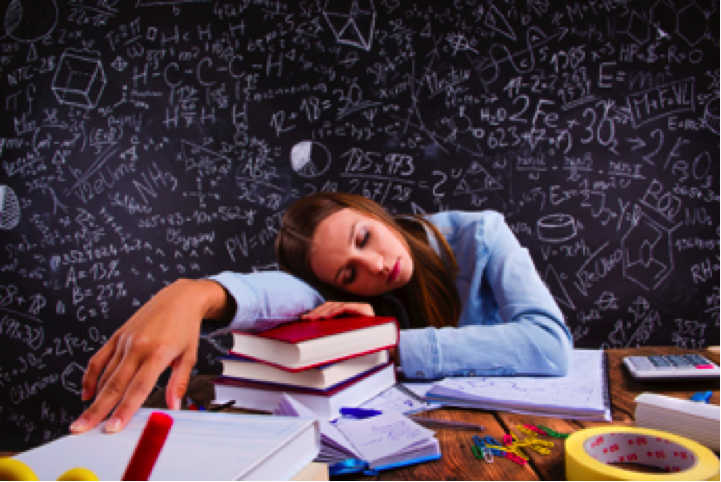 Many students say that on any given night, they will get less than 5 hours of sleep because of how late they stay up doing homework. I can say from personal experience that the internal conflict over whether to sleep or do homework comes up very frequently in the life of a high school student. Many, myself included, find it impossible to be at ease and go to sleep if there are assignments that we have not yet completed, or tests that we do not feel fully prepared for. This, coupled with the perfectionist mindset of many students causes one to do schoolwork from the minute they get home into the wee hours of the morning. While I love sleep just as much as the next teenager, I would have to say that if it came down to it, I would choose homework over sleep. I find that as I progress through my high school years, the workload increases with it. I am staying up later, drinking more cups of coffee, and pushing my stress level higher than I ever thought was possible. The thing is, while all these late night make me feel groggy and weary the next morning, it is so fulfilling to see hard work pay off. Of course, this is not the case with every test or quiz. Failure, unfortunately, is part of life, and is definitely a part of high school. Students like myself who are involved in a plethora of extracurricular activities may not get home until well into the evening, and as a result, stay up even later finishing assignments and cramming for an exam the next day. As a swimmer who practices every day of the week, and being involved in many clubs such as the school newspaper and service organizations, it is extremely hard to get enough sleep and I often find myself going through the school day in a trance. With all the pressure placed on my generation, it is hard to not strive for perfection and go to great lengths to do it. The battle between homework and sleep is one that students have been facing for many years, and will continue to face in the years to come. Students and teachers alike must realize that if teenagers are to get an adequate amount of sleep a night, something will have to give. It is not possible to have every assignment completed perfectly, and for every word of your chapter to be ingrained in your head for a test the next day.